With little more than one year before the U.K. withdraws from the EU, there is still much uncertainty on the future status of the colleagues holding only a U.K. passport. 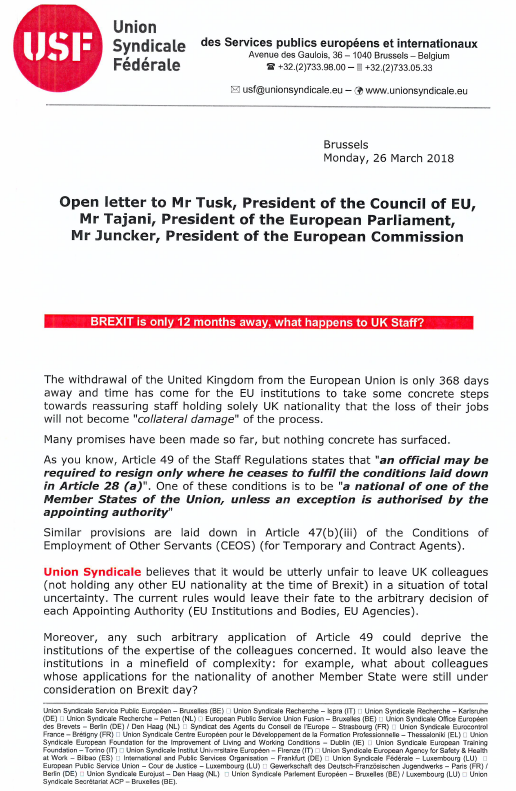 Union Syndicale Fédérale is closely monitoring the ongoing negotiations, to ensure that our British colleagues will not become ‘collateral damage’ of the BREXIT process. 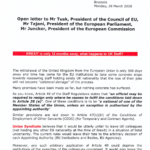 With this aim, Niels Brake, Vice-President of USF, has sent a letter to Mr. Tusk and Mr. Tajani stressing the importance, for the EU, not to make unfair use of the Art.49 of the Staff Regulations to lay off the British staff employed in the EU institutions. 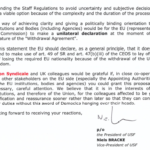 You can check the letter below. 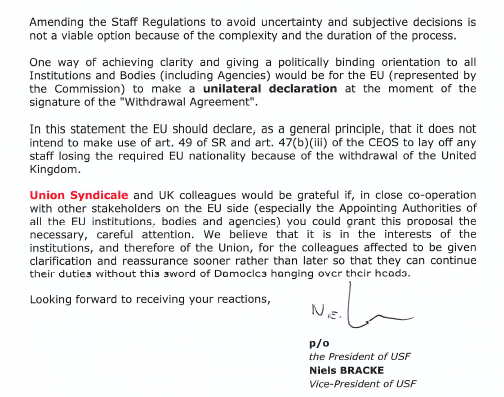 We will keep you posted on any reply received by USF or on any futher communication concerning the BREXIT negotiations.